Not great result work, but it was my start in beginning macro photography as a young boy. Looking for some tips on macro photography for beginners. This article is a quick overview with links to specific how to macro article. You'll learn macro photography settings, macro photography equipment, and get some great ideas for what to photograph. I first learned how to do macro photography when I was a young boy, just beginning my discoveries in photography. It wasn't really macro photography, but it was close-up photography and it opened up a whole new world to me. Macro photography is about looking at everyday things in a way that we normally don't see them. I only had a set of screw on close up filters for my father's slr camera. My photos were pretty lousy. 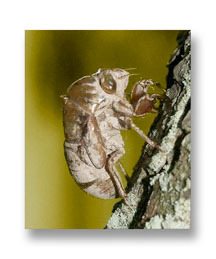 One of my first subjects was the shell of the cicada. I photographed the empty Cicada shells, left clinging to the bark of our willow tree or if I found a dead Cicada, I would photograph the bug itself. I didn't use a tripod, my photos were not sharp, the compositions were not so great and I didn't know how to choose a good background. It was a good example of bad macro photography by a beginner. 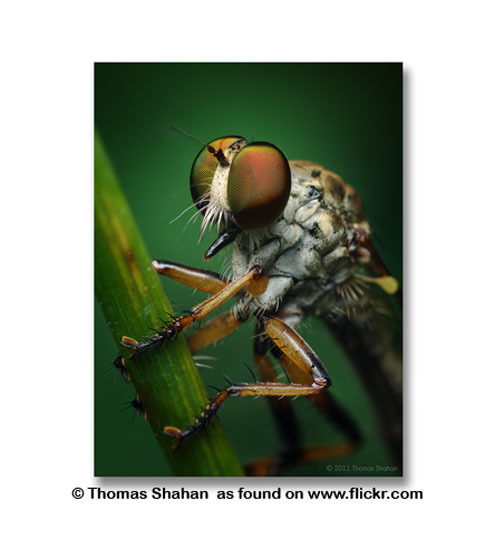 Thomas is an amazingly talented macro photographer who uses the right equipment, the right lighting and great composition to get photos that leave me speechless. 1. The first thing to do is determine if you are going to only use your current camera or if you are going to add to your macro photography equipment. A tripod is almost a must, unless you are going to use separate flash lighting to provide enough depth of field and a fast enough exposure for sharpness. I have had great success using my point and shoot canon g11 with a tiny tripod. Point and shoot cameras just about all come with a macro setting which does an adequate job for many macro photo situations. I've even heard of people shooting close-ups with their cell phone cameras and a magnifying glass. Although the quality will suffer dramatically doing this, you could maybe experiment with some abstract photography. Sometimes your subject matter will be the determining factor on what kind of macro photography equipment you need. 3. Determine your macro photography lighting. You can either use the existing lighting; modify the lighting with reflectors or light blockers; or you can provide artificial lighting with bulbs or strobes. Macro Photography Lighting. These tips on macro photography for beginners can get you started. Do you have an interest in other genres of photography? How to Photograph: Here is an article with links on how to photograph many other subjects and links on how to do other types of photography as well. Beginners photography: Other kinds of topics related to beginners photography. Macro photography for beginners can be just as much fun for advanced photographers who have refined their technique and are farther along on the learning curve. Above all else, make sure you're having fun!